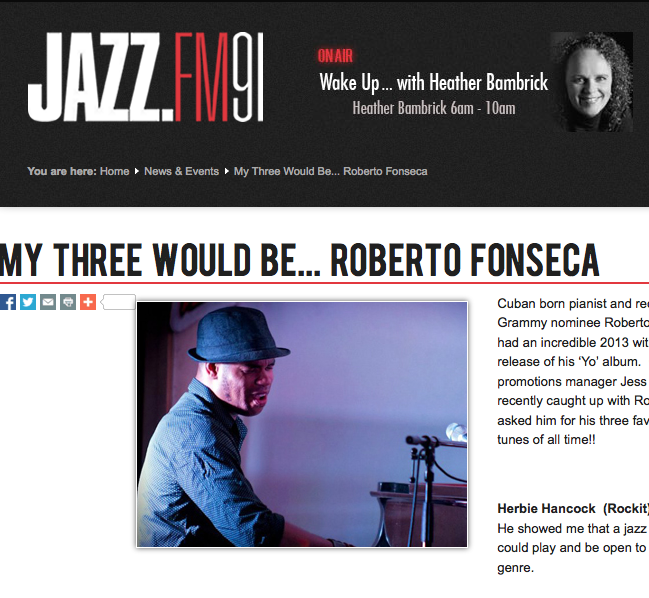 JazzFm91 promotions manager Jess Frohman, recently caught up with Roberto Fonseca and asked him for his three favorite jazz tunes of all time. You want to know them? Click here and learn more. To celebrate music and his influences and preferences, Roberto will be sharing his personal playlists on Spotify with old, popular, new and rare jams on several playlists that he will be sharing on Spotify, Twitter and Facebook.